Near the Grand Bay waterfront, I captured approximately 400 images to create the 10 second timelapse that you can see below. I was very proud of those 10 seconds, having not only captured the Milky Way, but also the movement of the stars, clouds and the Earth. I wanted my next timelapse video to be epic and decided that it would need to be much more than just short clip. I decided to produce a film. I decided early on to use the more involved of the two popular styles of shooting timelapses. Instead of simply shooting regular video and speeding it up to show fast movement, I would need to shoot 24 still images for every one second of the final video. What’s more, I would often shoot more images than required in order to have some latitude when editing later on. The length of time in the field varied wildly, based on the time of day and type of image I was after. The photo below was shot in mid afternoon and that allowed me to use a shutter speed of much less than one second (one-fiftieth to be exact). Compare that to the image on the right, which was captured at 7:00 PM and required 13 seconds per image. I’m pretty sure that I must have captured at least 30,000 images throughout the entire production process. However, I ended up keeping approximately 15,000 of those and used even fewer in the final version of the video. 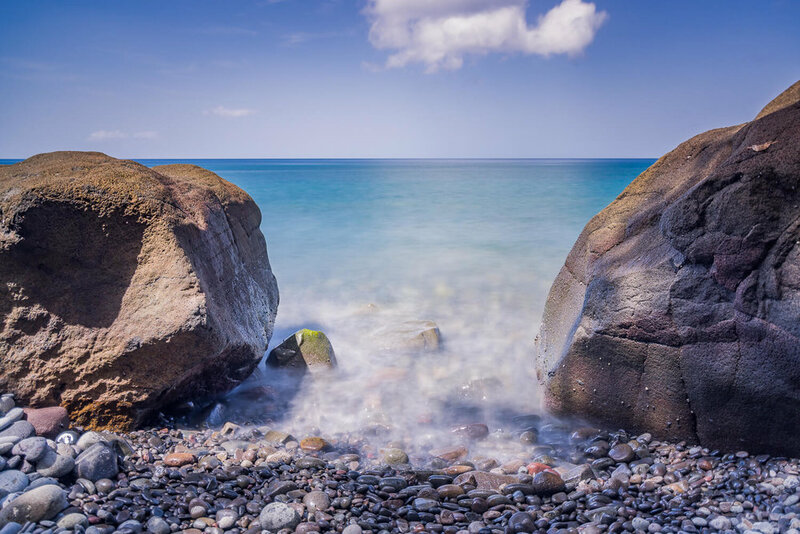 I wanted to show various forms of nature in Dominica, such as rivers, mountains and beaches. I also wanted to feature the Milky Way and so I reused the Grand Bay footage and captured a few new sequences from the Lindo Park basketball court (2:30) and at Freshwater Lake (2:36). 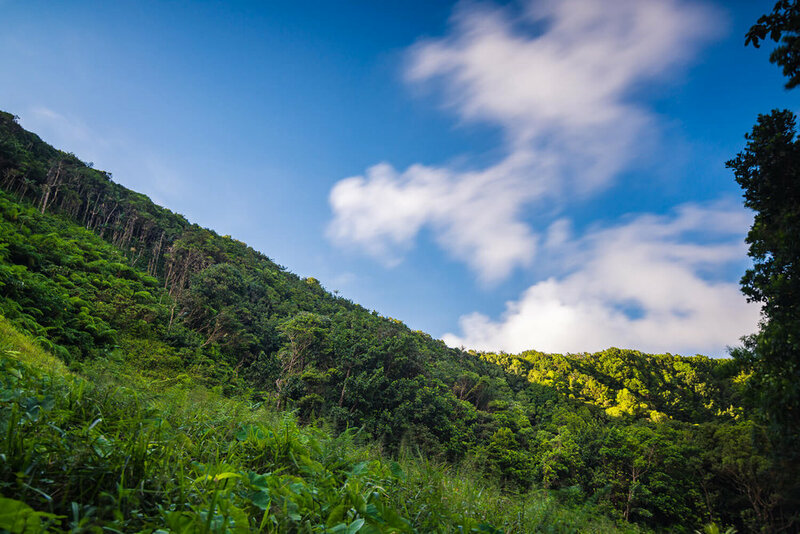 For the next film, I’ll endeavor to showcase even more of Dominica’s landscape. A scene from Rodney’s Rock. One of two sequences from that location. The first was captured from Morne Bruce, overlooking the capital (0:54). The branches on the right of the frame give you an idea of how strong the wind was at that time. The second was on the Bayfront, near the Fort Young Hotel (1:33). If I didn’t know better, I would say that this was footage of the tempestuous Atlantic Ocean, rather than the usually calm Caribbean Sea. We weren’t so lucky with Hurricane Maria. The storm hit us as a Category 5 hurricane on Monday 18 September. Winds raged at 165+ MPH, while the storm traveled at only 9 MPH. 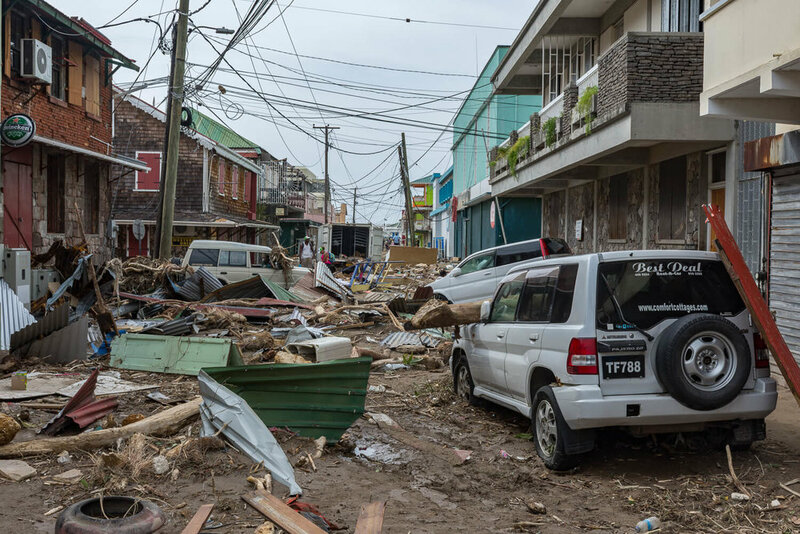 The slow rate of movement coupled with high winds and torrential rain completely devastated Dominica. Destruction caused by Hurricane Maria, on Old Street Roseau. This film is definitely one of the crowning achievements of my journey as a photographer. More than 10,000 images and countless hours (in the field and post-production) were finely put together into a 3 minute, 4K resolution video. Watch the video below in high definition to fully appreciate its quality. Then, let me know what you think in the comments below. Thank you!